Each year we end up with several clients who come to us with a “plan book” plan that is “almost perfect!” for them. These plans are usually designed some place else in the country, not engineered to meet our local codes, not designed to meet your local neighborhood Design Guidelines, designed for a flat lot, and so many times these plans have never been built. Often these almost perfect plans aren’t thought through, the design is amiss of multiple design styles, it doesn’t fit on your lot and really, it simply costs more to force it than to have a custom design done for you. What do you get when you hire a custom Home Designer? You get someone that knows the local codes and rules, someone with experience in your neighborhood and our local environment who can design a home just for you and your family that will grow with you and last for generations to come. It’s important to consider WHO you’re hiring. Is this someone you trust? Afterall, they are designing the place you’re going to raise your children in, have holiday parties in, care for elderly parents in, whatever it is – it’s the place you call home. 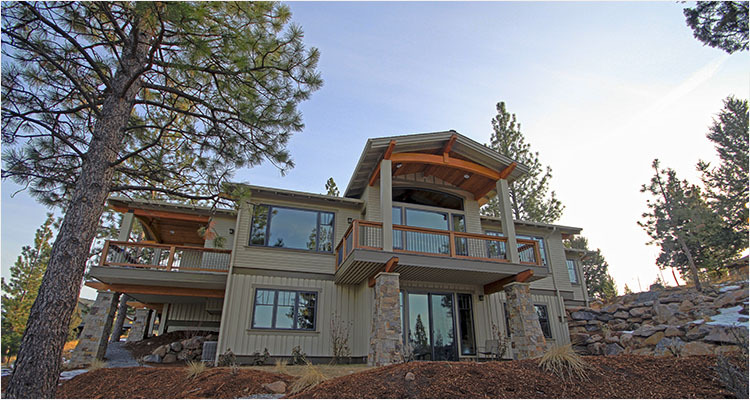 The top photo with this blog article is a custom designed spec house in Northwest Crossing in Bend, Oregon. It was thought out through the last detail, like the slope of the chimney shroud matches the slope of the roof. You probably didn’t notice, but it’s there and it brings this house a step above the common plan book house! 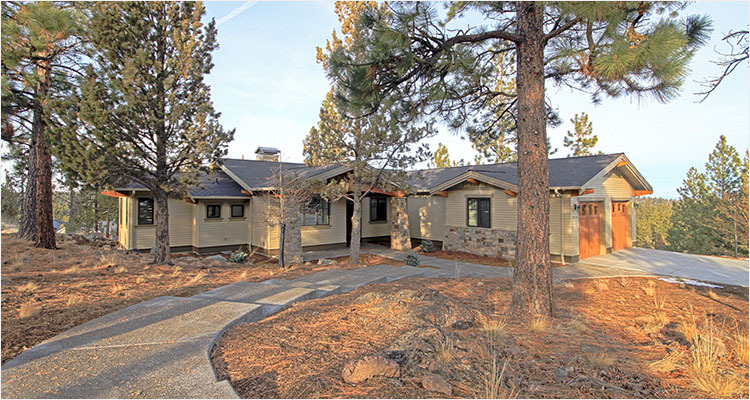 Another example of having a custom home designed just for you and your goals is this craftsman home designed on a slope. We worked with the grades and designed smart layouts to use the inexpensive space to gain square footage and minimized the engineered foundation walls you would find in a home designed for anywhere in the USA that you were trying to force onto a sloped lot. 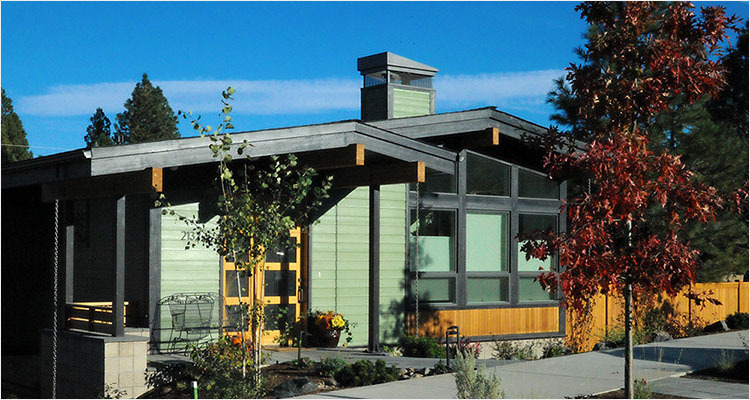 When you design for your specific site you save more than our fee on concrete and steel in the foundation, you capture view corridors that plan book homes miss and there’s no regrets wishing you had made the pantry a little bigger or included a window out of that powder room to see the mountains. What’s more, we’re local and can work with you personally, we know the local review committees, the City and County requirements and can get you to ground breaking much faster than trying to work with a plan book company from the other side of the country.